VIGON® A 200 is a water-based cleaning medium specifically developed for the use in high and medium pressure spray equipment such as inline or batch equipment. 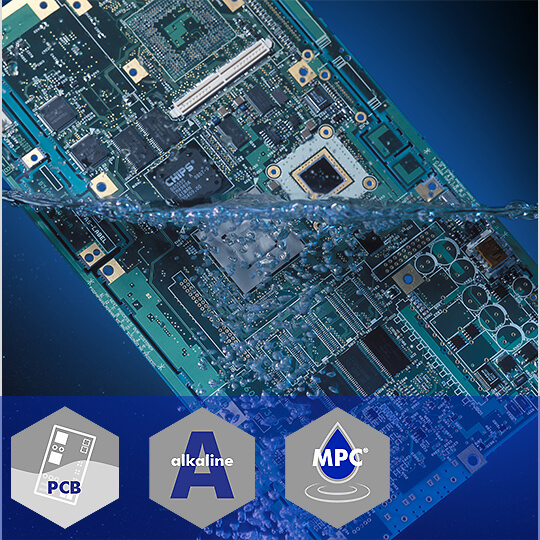 Based on MPC® Technology, VIGON® A 200 removes all types of flux residues from electronic assemblies, ceramic hybrids, power modules and lead frames. VIGON® A 200 meets the highest cleanliness requirements for subsequent wire bonding and coating steps.